My week has consisted of ticking off items from my ever-growing to-do list. Mr. Boo and I have finally downloaded the Wunderlist app so that we can share shopping lists, tasks etc. with each other and keep track of what still needs to be accomplished. With family life a whirlwind at the moment lists are the only thing that is keeping me sane. I’ve been so busy this week that I haven’t had a chance to do much reading. I’m still trying to keep up to date with my Bloglovin feed. Other than that I have to admit to completely flagging. I’m back binge watching TV again in an attempt to clear my Sky+ recordings. This week has all been about Delicious which was recently on Sky One. I love Dawn French so wanted to watch this when I saw the adverts for the show before Christmas. It did take me the first of the four episodes to get into it but I really enjoyed it. As I had a meeting in North London earlier this week, I opted to drive down as the train would have taken forever. The two-hour drive gave me the opportunity to pop my iPod onto random and enjoy some classic tunes and cheesy pop as I drove down the M11. After not being able to find a christening invite that I liked, I decided to put a little something together myself using Canva. I’m really quite pleased with how it has turned out and I’m just awaiting delivery from Printed.com with my order so that I can get them sent out. Not technically worn as yet but I just had to share with you Piglet’s Christening dress. 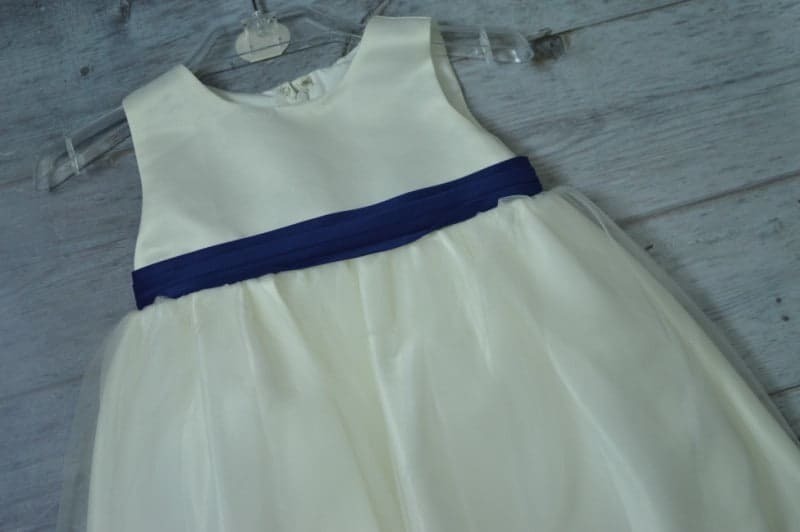 I had been looking to find her something nice to wear and managed to pick this ivory and navy dress from Roco Clothing. It was in their sale, reduced to just £6.99 so I ordered it thinking that even it wasn’t suitable for her christening it would be used for a party or similar. However, I love it and the navy waistband has a detachable bow at the back. My meeting earlier in the week was to meet with the Red Letter Days team as they have recently announced me as one of their ambassadors. I will be working alongside four other bloggers from a range of niches. This year I will be telling you all why experience days make the perfect gift idea as well as a great way to treat yourself. Plus I’m hoping that I can share an afternoon tea or a spa day with you. Wow, You are so busy! Lovely writing by the way. Hope one day I would meet you on red letters day suddenly! Oh wow those red letter days sound brill, look forward to reading about them. 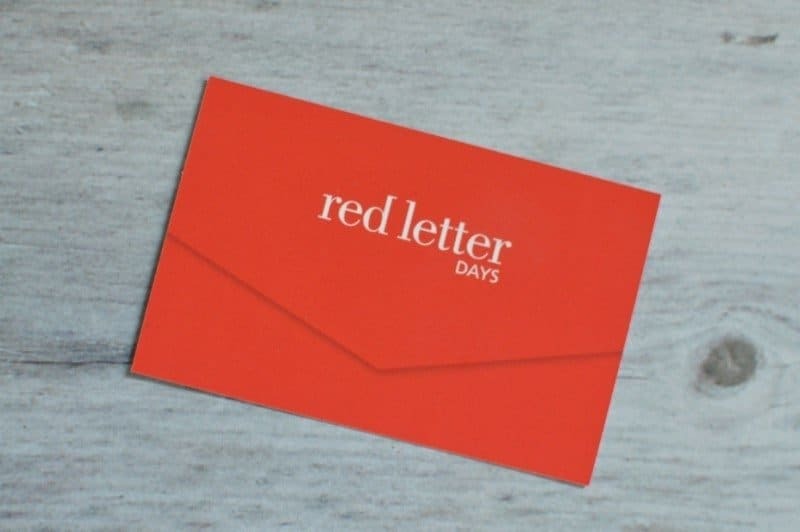 Can’t wait to see what you get up to with Red Letter days!